we truly wish you a wonderful and joyous season! Tomorrow we kick-off the holiday season and for ACME it’s a time to reflect on the past year with gratitude, focus on spreading cheer, and giving back to our local community. As we reflect on the past year we want to express our sincerest gratitude to our hardworking and dedicated team and our incredible community of partners, we truly could not do what we do without them. We also look forward with anticipation to 2019 for the opportunity to stay on a path of continued excellence and refinement. For the third year in a row we are partnering with our neighbors in NE Portland, the local non-profit Hacienda CDC, through a children’s winter clothing drive hosted at our offices throughout the holiday season. We’re collecting all the winter essentials to ensure the children of our neighborhood will thrive when the temperatures begin to drop. Hacienda CDC is a Latino Community Development Corporation that strengthens families by providing affordable housing, homeownership support, economic advancement, and educational opportunities. It is an honor and a privilege to partner with them and to bring smiles to the faces of children within our community. Learn more about Hacienda CDC at haciendacdc.org. We bring those same smiles to children and adults alike in the Portland community through our annual holiday decoration installations. 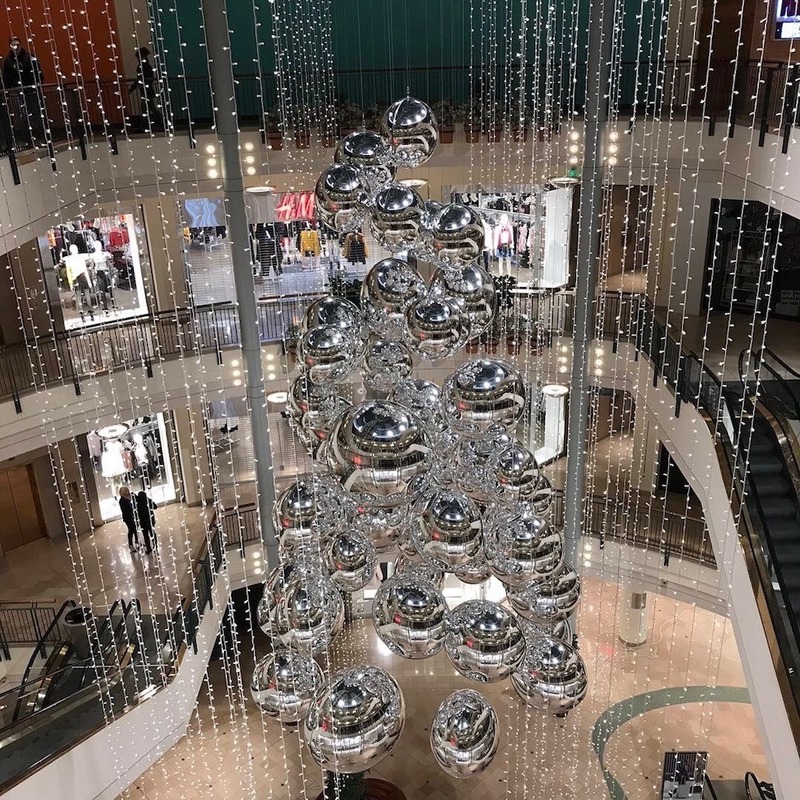 We have the pleasure of installing intricate & joyous decorations at Clackamas Town Mall and Pioneer Place Mall, and we sincerely hope you enjoy them as much as we do!